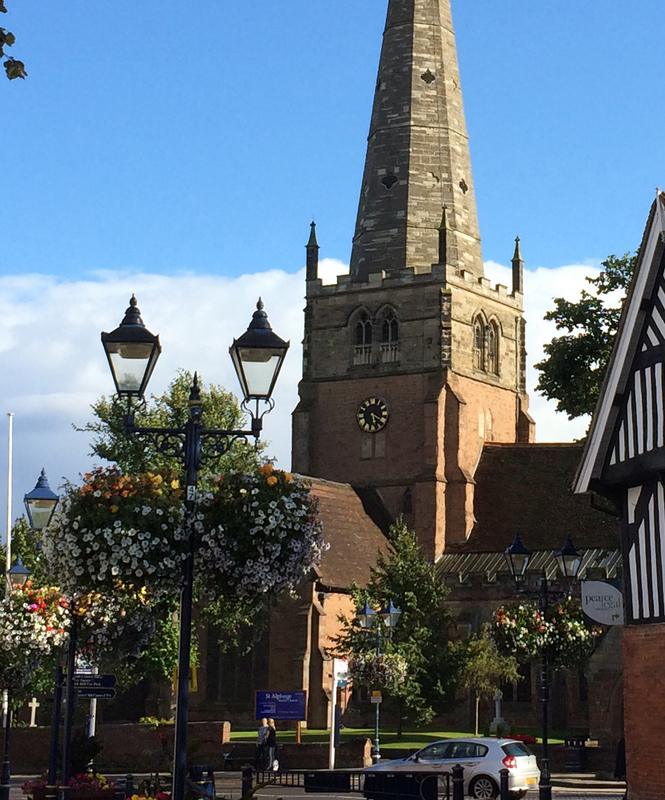 Discover our wonderful church, which has been the focal point for the inhabitants of Solihull for over eight hundred years. It is a fine medieval building, dating from the 13th Century. In 2012, we celebrated the millennium of the martyrdom of St Alphege, who was martyred in 1012. The Parish Church of St Alphege is a large edifice of cross-shaped plan with a chancel having a two-storied chapel north of it, north and south transepts, nave with north and south aisles, a north porch and an embattled tower, surmounted by an octagonal spire, and contains a peal of thirteen good bells. The bells were all recast and rehung in 1932 by Taylor’s of Loughborough. The tracery mouldings and corbels in the interior are extremely elegant; with some fine specimens of screen work. There was originally a late 12th Century church on the site, which was enlarged by Sir William de Odingsells with the chancel, and a vaulted chamber and chapel dedicated to St Alphege. The North Aisle with a chapel of St Thomas Becket was added to the nave and some remains of an arch between the two still exist. During the 14th Century there followed the addition of the transepts, with the insertion of side arches in the tower. A little later in the 14th Century, the aisle was continued westwards, beyond the original west end with further additions. The present aisle was added in 1535, when both arcades were rebuilt and the nave lengthened. On the evidence of the moulded plinths the west wall of the nave, between the 14th century responds, appears to have been rebuilt. The tower rises 168ft above the ground. It is divided into five stages by string-courses and has quatrefoil spire-lights alternating with blanks, in each stage. At the apex is a weather-vane. A few fragments of ancient glass remain. In the tracery of three of the south windows of the chancel are 14th century floriated roundels of two patterns. In the north and west windows of St Alphege’s Chapel are seven others, mostly hanging loose from the saddle bars. Also, two shields, one charged checky or with gules; the other charged or a fesse azure with three lozenges or thereon. There are also a Holy Dove in a vesica piscis , the head of an angel, and a late 17th century shield of the Greswold arms. St Alphege is noted for its choral tradition. Both Choirboy and Choirgirl of the Year have in the past been won by St Alphege Choristers, with upper voice evensong sung on a Sunday evening. The church has a historic pipe organ dating from the seventeenth century, with the latest refurbishment taking place by Nicholson and Co in 2014. A specification and pictures of the pipe organ can be found on the National Pipe Organ Register. Join us for a lovely lunch at The Bear at Berkswell on Thursday 23rd June 2016 at 12:15pm. Priced at only £15 per head. Followed by a tour of the local church. Contact Sheila Payne for tickets: 0121 706 0520.